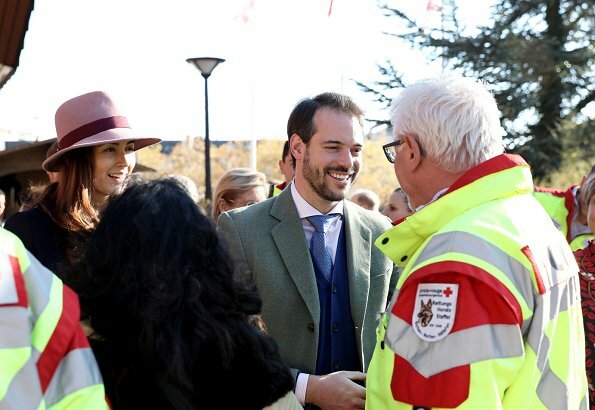 On November 18, Prince Felix and Princess Claire of Luxembourg visited the annual bazaar of the Luxembourg Red Cross. 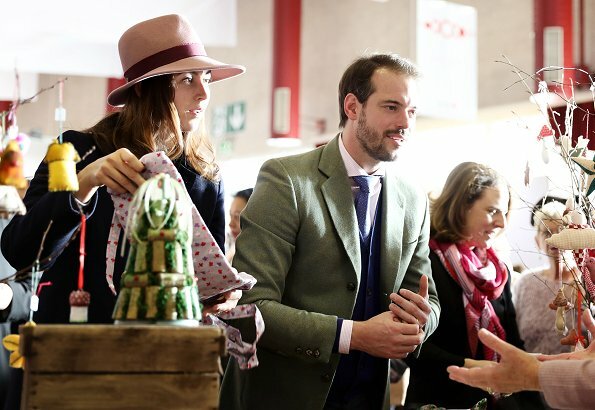 The bazaar at Hall Victor Hugo in Limpertsberg took place for the 72nd time this year. 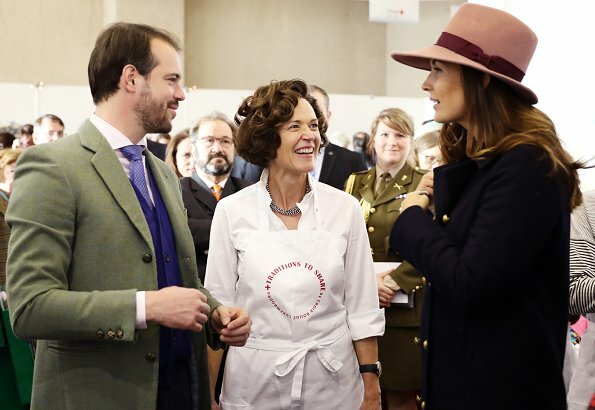 The proceeds will benefit youth work done by the Red Cross in the Grand Duchy as well as their international work. 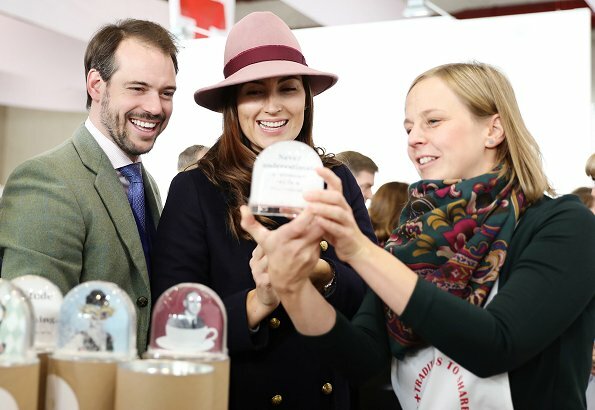 Under the theme "Mënschen hëllefen en Doheem ginn" (To give a home), the profits will be used this year to provide accommodation for homeless people in Luxembourg and abroad. Nice to see Pss claire again. Love her hat and coat Is she hiding a little surprise under the coat. She looks very happy nice smile. 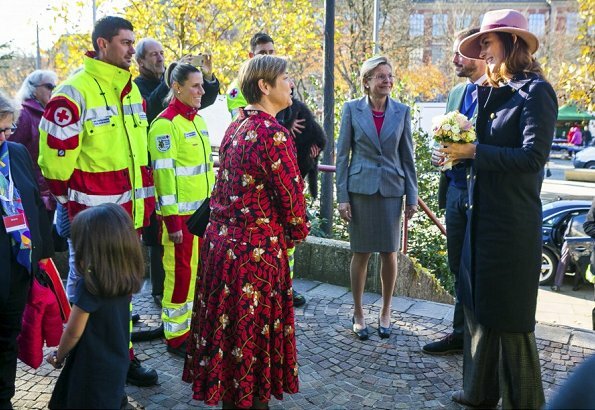 The Princess looks pregnant. The last time we saw her (which was last month) I said the same and I guess the 8th picture can confirm it. Nice to see this handsome couple. 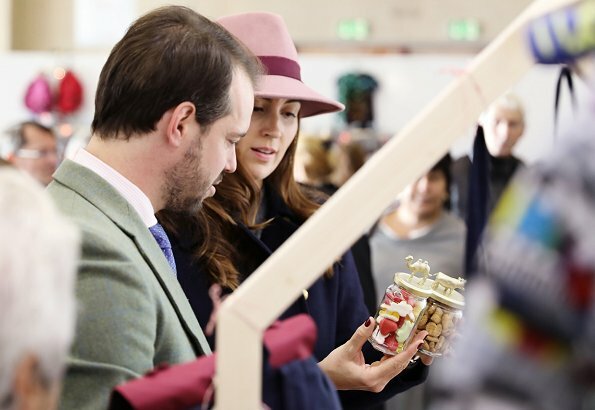 The fedora looks great on her, she is really really pretty. 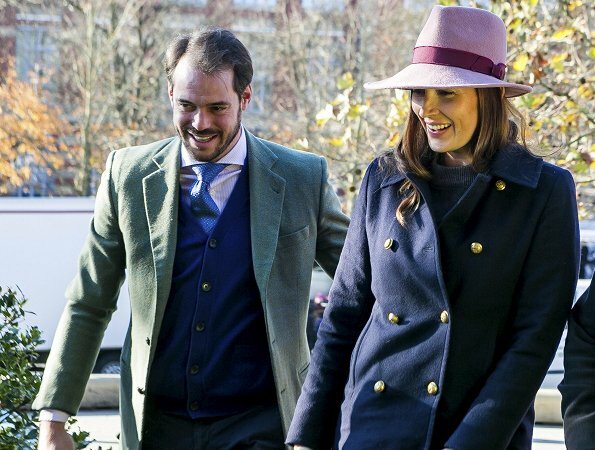 Claire's hat is such a beautiful color, I wish she had worn a matching suit -- or at least a coordinating scarf. A missed opportunity! Pretty Princess. 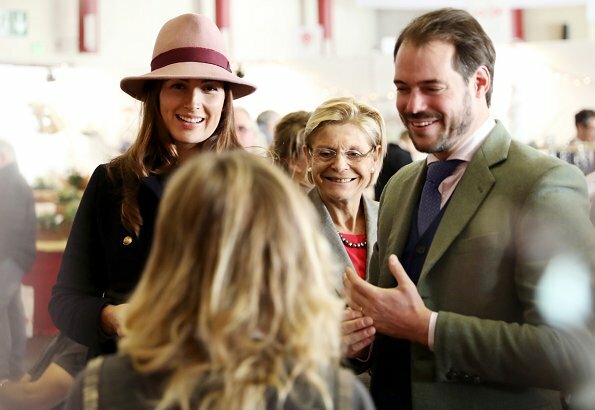 This event is basically attended by the Grand Duchess herself so it was rare to see them, hopefully this means we’re going to get to see Félix and Claire more often now. Love Princess Claire. She's really pretty. Ella es naturalmente hermosa! 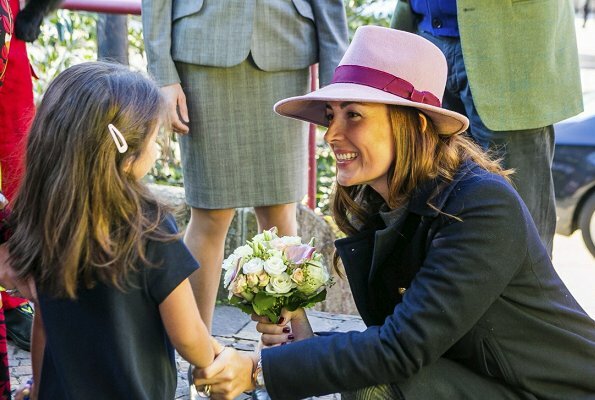 Muestra su jovialidad en la eleccion de color del sombrero y su estilo natural. Bella pareja!